First of all, let me define business development for those civil engineers who are not familiar with the term. The general Wikipedia definition is: Business development comprises a number of tasks and processes generally aiming at developing and implementing growth opportunities within and between organizations. My definition: bringing in new business to your civil engineering firm, which could take the form of new clients or new work from existing clients. I have talked to many civil engineering CEOs, and when I ask them what they are looking for in their engineers, they tell me that they are looking for civil engineers who can do engineering but also bring in new business and increase the company’s bottom line. Some civil engineers are naturally gifted when it comes to building relationships and bringing in new business, but many are not. Below are some strategies to help you bring in new work for your civil engineering company. LinkedIn is an amazing, free social networking tool available to everyone. Take the time to create and improve your LinkedIn profile, and start to connect with people you know and people that you want to know. 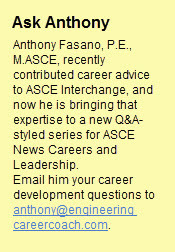 Here is a free podcast I did on how to use LinkedIn effectively as a civil engineer. If your civil engineering firm has multiple service lines, cross-market the other services to existing clients. This is easy. If you have a client you repeatedly work with, make sure that he or she knows about all of the other services your firm provides. This could be done by phone or over lunch during which you can invite some of the other discipline leaders in your firm to discuss how they can help the client. Make sure you stay in touch with your clients and always provide them information that will be helpful to them. For example, if new guidelines come out, call them and let them know about them. Make them feel that their relationship with you is helping them to build their business even when you are not actively engaged on one of their projects. Following up on my last point, you should develop your expertise in your field. For example, if there are new regulations in your field, write an article summarizing them, send it to your clients, and also post it on LinkedIn. 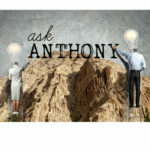 Doing this will position you and your firm as leading experts in your field. You should also speak at conferences to cement your expertise. Experts speak in front of groups of people, so focus a lot of energy on improving your public-speaking skills. This is a very valuable skill that can be learned. Just imagine the opportunity to speak in front of a few hundred people at a conference. It will help you to accomplish everything I listed above. This is also a skill that a lot of civil engineers don’t focus on developing, and therefore this is a good opportunity to differentiate yourself. So yes, you should build your business development skills as a civil engineer, and as difficult as it may be to do so, these five action items will help get you started. Please leave any comments, questions, or strategies that have worked for you in the comments below. 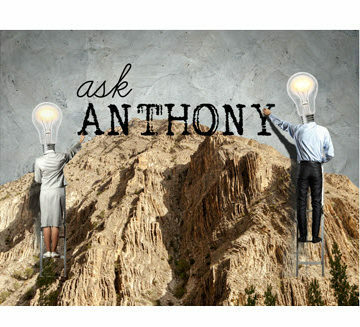 Ask Anthony: How Do I Grow My Small Civil Engineering Business?